Dr Tom Gale from Plymouth University Peninsula Schools of Medicine and Dentistry (PUPSMD) was presented with the Teaching Innovation Award by the Association of Medical Educators in Europe, for his work in developing a simulated training module for health care workers and communities in Ebola-hit West Africa. The module, which uses computer gaming technology, was developed by Dr Gale and colleagues Arunangsu Chatterjee and Martin Roberts from the TELMeD team at PUPSMD, and Plymouth-based games company Total Monkery (from the Plymouth University Formation Zone). Dr Gale received the award as a result of a study which evaluated the effectiveness of the module and which was published in the Simulation in Healthcare journal. Funding for the project came from the Masanga Mentor Ebola Initiative. Further support came from the Mentor Initiative (an international NGO) which led activities in Liberia including field testing, training and data collection. Masanga has a longstanding relationship with Plymouth. Dr Austin Hunt, consultant physician from Plymouth Hospitals NHS Trust has had a major role to play on the development of the Masanga Mentor Ebola Initiative. He also helped to establish the Masanga/Plymouth University Health Partnership. Many volunteers, including health care professionals and students from PUPSMD and local NHS partners, are helping to provide further research and evaluation at Masanga Hospital and peripheral health units in Sierra Leone. Ongoing work is currently being undertaken in Sierra Leone through a grant funded by the Tropical Health Education Trust, to further develop modules and their evaluation. 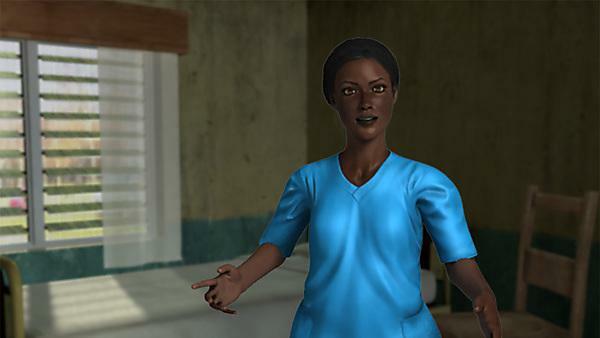 This includes iCARE (Infection prevention Control And ebola Resilience Education), which has progressed over the past 18 months thanks to input from the Masanga/Plymouth University Health Partnership.